Canadian rapper/writer/scholar Baba Brinkman will perform at UA on October 10. Global warming’s impact on Antarctica. The experience of being young and black in civil rights-era Alabama. The possibility of time travel. Hip-hop and religion — and a rap guide to evolution.  This year, departments in the College of Arts and Sciences are offering lectures and performances on everything from tectonics and geophysics to the oral history of southern America. Series sponsored by the departments of geological sciences, biological sciences, psychology, and anthropology examine current issues in the natural sciences. American studies, New College, art, and other departments explore what it meant to be African-American during the U.S. civil rights movement and contribute to the national and regional dialog on race. One of the College’s youngest series, the Day Lecture, aims to change the way students approach religion and invite them to think critically about the subject. Hosted by the Department of Religious Studies, the Day Lecture was created in honor of Zachary Daniel Day, a UA graduate who died unexpectedly in 2011. “Those in attendance at [Day Lectures] will get a sense of what kinds of discussions are happening among scholars who work at the intersection of religion and popular culture — whether music, film, video games or otherwise,” said Merinda Simmons, a religious studies professor who helped organize the October 1 lecture. Monica Miller was the speaker for the 2013 Zachary Daniel Day Memorial Lecture Series. This year’s Day lecturer, Professor Monica Miller of Lehigh University, spoke about the relationship between pop culture, hip-hop and religion. The first installment in the Alabama’s Lecture on Life’s Evolution (ALLELE) series brings rapper, writer, and scholar Baba Brinkman to campus. As purveyor of “the world’s first-ever peer-reviewed rap,” Brinkman consults scientists about the accuracy of his rhymes on natural selection, evolutionary psychology, and sexual selection. The result is clever and informative; learn more about Brinkman and his October 10 performance. The month-by-month listing on this page offers a snapshot of lectures already scheduled for the 2013-2014 academic year; check back regularly for additions and updates. Constance Curry and Doris Derby, who will speak about their experiences in the Student Nonviolent Coordinating Committee. The public is invited. There is no charge for the event. A book signing will follow the lecture. Sponsored by the Department of American Studies. Dr. Wilbur Rich, a noted political scientist, will tell of his life as a young person in Montgomery, Ala., during the civil rights era and will discuss African-American participation since that time. . This lecture is a part of the ‘Through the Doors’ series, a group of events taking place throughout the year designed to honor the desegregation of UA in 1963 and celebrate the progress made by the University since then. Estella Atekwana of Oklahoma State University will speak on tectonics and geographics as a part of the Geological Sciences Friday Lecture Series. Every Friday, the Department of Geological Sciences offers lectures given by top researchers and professors in the field. For more information, visit http://geo.ua.edu/events/. 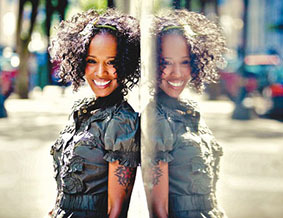 Professor Monica Miller of Lehigh University will lecture on the relationship between pop culture, hip hop, and religion. Hosted by the Department of Religious Studies. For more information, visit http://rel.as.ua.edu/daylecture.html. A professor of polar and marine biology at UAB, McClintock will discuss the consequences of global climate change on the Antarctic Peninsula, which is considered by many to be the most rapidly warming region on the planet. Hosted by the Department of Biological Sciences. Baba Brinkman is a Canadian rap artist, award-winning playwright, and former tree-planter who has personally planted more than one million trees. His “Rap Guide to Evolution” has won numerous awards, including a Scotsman Fringe First Award and a Drama Desk Award nomination, and was featured on The Rachel Maddow Show and at the Seattle Science Festival opening for Stephen Hawking. This event is a part of the Alabama Lectures on Life’s Evolution Series. For more information, visit www.facebook.com/ALLELEseries. Cole Swenson is the author of 14 volumes of poetry and one of critical essays. Co-editor of the Norton anthology American Hybrid, she’s been awarded a Guggenheim Fellowship, the Iowa Poetry Prize, and the PEN USA Translation Award, among others. Eric Lemay is the author of Immortal Milk: Adventures in Cheese (Free Press, 2010), The One in the Many (Zoo Press, 2003). He serves as web editor for Alimentum: The Literature of Food. Books, as well as keepsake broadsides of the authors’ work made by UA’s Book Arts program, will be available at the readings. Audio podcasts of past Bankhead readings can be found on iTunes U. Hosted by the Department of English. For more information, visit http://english.ua.edu/grad/cw/visitors. Adina Paytan of the University of California at Santa Cruz will speak on paleoceanography as a part of the Geological Sciences Friday Lecture Series. Every Friday, the Department of Geological Sciences offers lectures given by top researchers and professors in the field. For more information, visit http://geo.ua.edu/events/. Natalie Ring is the author of The Problem South: Region, Empire, and the New Liberal State, 1880-1930. This lecture is being offered by the Summersell Center for the Study of the South. For more information visit, scss.ua.edu. Gary Fowlie, a UA alumnus an expert on cybersecurity, will address how the Internet is rewriting the relationship between individuals and their governments. According to Fowlie, the internet and its associated technologies is rapidly changing the face of diplomacy, security and economic development. In his lecture, he will discuss how people can have secure access to global cyber commons, while respecting the principles of democracy, human rights and the rule of law. The Mills lectureship was endowed in UA’s College of Arts and Sciences by Mrs. Helen Crow Mills Pittman and the late Dr. John Mills of Birmingham to bring successful and distinguished alumni and citizens to campus to speak as a way to motivate and inspire students. This lecture is about the possibility of time travel to the past. Markosian will first distinguish between the two leading theories about the nature of time, the Static Theory of Time and the Dynamic Theory of Time, then argue that on the Dynamic Theory, time travel to the past is not possible. He will also consider the question of what we are thinking about when we seem to be thinking about time travel to the past, given that such travel is not possible. Part of the Philosophy Today lecture series. Hosted by the Department of Philosophy. Artist and writer Margaret Wrinkle will speak about her latest novel, “Wash,” and a photography exhibit based on that novel. The exhibit will be on display in the Dinah Washington Gallery through November 15. For more information, visit scss.ua.edu. Gad Saad, a professor of marketing at Concordia University (Montreal, Canada), and the holder of the Concordia University Research Chair in Evolutionary Behavioral Sciences and Darwinian Consumption, will lecture on the Consuming Instinct of human nature. Dr. Saad has authored two books and published more than seventy scientific papers. This event is a part of the Alabama Lectures on Life’s Evolution Series. For more information, visit www.facebook.com/ALLELEseries. The Bankhead Visiting Writers Series brings emerging as well as internationally renowned writers to the University of Alabama campus to read from their work. Books, as well as keepsake broadsides of the authors’ work made by UA’s Book Arts program, will be available at the readings. Audio podcasts of past Bankhead readings can be found on iTunes U. Hosted by the UA Department of English. For more information, visit english.ua.edu/grad/cw/bankhead. Roberts will speak about his most recent book, “Rising Tide: Bear Bryant, Joe Namath, and Dixie’s Last Quarter.” For more information, visit scss.ua.edu. Lectures in the Philosophy Today series are geared toward a general audience and are of interest to those in any profession or academic discipline. The presentations are free and open to the public. Hosted by the Department of Philosophy. This lecture is offered by the Department of Geography. Peter Raymond of the Yale University will speak on biogeochemistry as a part of the Geological Sciences Friday Lecture Series. Every Friday, the Department of Geological Sciences offers lectures given by top researchers and professors in the field. For more information, visit http://geo.ua.edu/events/. Dr. Gregory Retallack will discuss global cooling by grassland soils in the geological past and near future. He has published ten books and 230 papers and has been recognized by the Stillwell Award of the Geological Society of Australia, the Antarctic service medal of the US National Science Foundation, and Fellowship of the American Association for the Advancement of Science. This event is a part of the Alabama Lectures on Life’s Evolution Series. For more information, visit www.facebook.com/ALLELEseries. This lecture is presented by the psychology department. For more information, visit psychology.ua.edu. Strode lectures and readings are presented by the English department. Presentations are free and open to the public. For more information, visit . This event is offered by the chemistry department and is geared toward chemistry students. For more information, visit http://chemistry.ua.edu/event/yu-wang/. This event is offered by the religious studies department. Free and open to the public. For more information, visit http://rel.as.ua.edu/events.html. Bankhead Visiting Writers brings up-and-coming authors to share their work with UA students. Free and open to the public. Hosted by the English department. For more information, visit . This event is offered by the physics and astronomy department. Free and open to the public. For more information, visit http://www.mint.ua.edu/category/events/seminar/. Tishkoff is the David and Lyn Silfen University Professor in Genetics and Biology at the University of Pennsylvania, holding appointments in the School of Medicine and the School of Arts and Sciences. She studies genomic and phenotypic variation in ethnically diverse Africans. This event is a part of the Alabama Lectures on Life’s Evolution Series. For more information, visit www.facebook.com/ALLELEseries. University of Alabama alumna and New York Times best-selling author Kathryn Stockett will tell the story behind her award-winning book. Stockett was born and raised in Jackson, Mississippi, and moved to New York City to get into publishing after graduating from UA with a degree in English and creative writing. The Help is her only novel and was made into a major motion picture in 2011. Following the lecture, Stockett will sign copies of The Help for a brief period in the lobby of the Moody Music Building Concert Hall. The Aronov Lecture Series was founded with the goal of introducing the University community to a nationally recognized scholar of religion who is capable of reflecting on issues of wide relevance to scholars from across the humanities and social sciences. More information on Professor King’s lecture will be released as it becomes available. Hosted by the Department of Religious Studies. For more information, visit https://religion.ua.edu/about-us/lectures-and-events/aronov-lecture/. The Brown Bag Lecture Series is presented by the Women’s Resource Center, the Women’s Studies Program and the Department of Gender and Race Studies. Fore more information, call 205-348-5040 or visit wrc.ua.edu/. MFA readings are free and open to the public and presented by the English department. For more information, visit . Join the Department of Modern Languages and Classics for a fun Spanish movie night! The movie will be “Tesis Sobre un Homicidio,” from Argentina directed by Hernan Golfrid. For more information, contact Karina Vazquez at kewazquez@bama.ua.edu. Dr. Costa is executive director of the Highlands Biological Station and professor of biology at Western Carolina University. His studies have focused on insects’ social behavior from the Appalachian Mountains to Latin America to Europe. His talk will focus on the naturalist Alfred Wallace’s theories pertaining to the natural world, specifically his work that paralleled Charles Darwin’s. The ALLELE series is presented by the departments of anthropology, biological sciences, chemistry, communicative disorders, geological sciences, philosophy, physics and astronomy, and religious studies. This lecture is free and open to the public. For more information, visit www.facebook.com/ALLELEseries. The Department of Communicative Disorders will be hosting an Open House for prospective undergraduate students and students who wish to learn more about this major. This will be a great opportunity for interested students to come and tour the facilities and in house clinic as well as talk with faculty members and clinical supervisors. For more information, contact the Communicative Disorders office at (205) 348-7131. MFA readings are free and open to the public and presented by the English department. For more information, visit http://english.ua.edu/life/events/. The Brown Bag Lecture Series is presented by the Women’s Resource Center, the Women’s Studies Program and the Department of Gender and Race Studies. Fore more information, call (205) 348-5040 or visit wrc.ua.edu/. Krauss is a renowned cosmologist and science popularizer, and is Foundation Professor in the School of Earth and Space Exploration, and director of the Origins Project at Arizona State University. Hailed by Scientific American as a rare public intellectual, he is also the author of more than three hundred scientific publications and nine books, including the international bestseller, The Physics of Star Trek, and his most recent bestseller entitled A Universe from Nothing, now being translated into 20 languages. This event is the last of the 2014 Alabama Lectures on Life’s Evolution Series. For more information, visit www.facebook.com/ALLELEseries.